Flax is one of the oldest textile fibers in the world. The oldest woven garment dates back to the time of Ancient Egypt, approximately 5000 years ago. 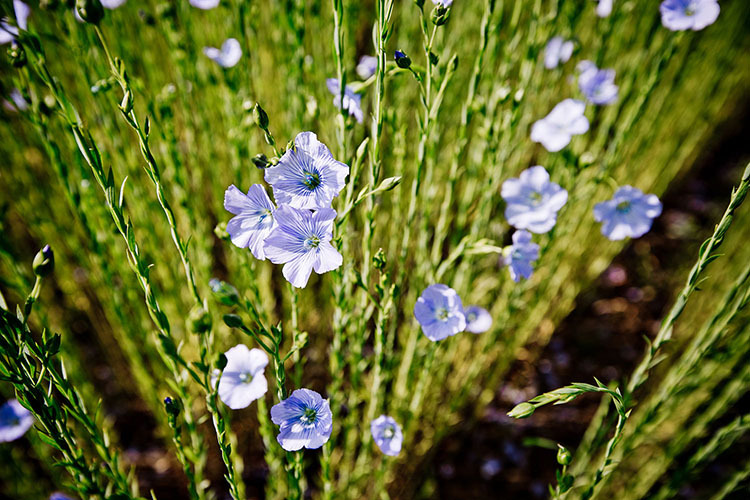 Linen was brought to Europe through trade and around the 13th century, Western Europe had become the world’s center for the flax industry, peaking in the 1800s. 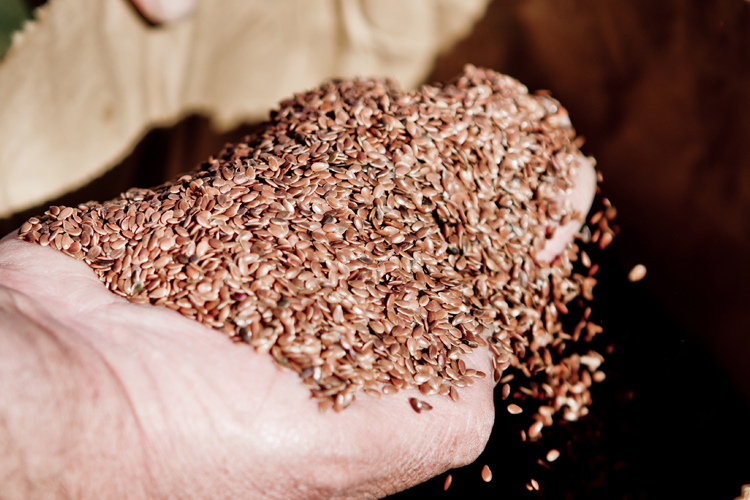 Since its arrival, flax has always been present in Western Europe because the plant grows best here. Our temperate climate ensures the ideal alternation of sun and rain for a large and strong plant. The longer and stronger the fiber, the better the quality of the linen. 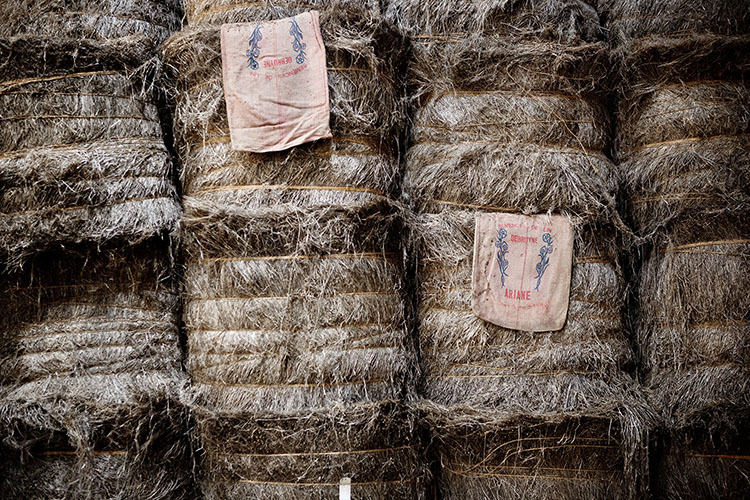 More than 75% of flax fibers used worldwide to weave linen fabric come from France, Belgium and the Netherlands. 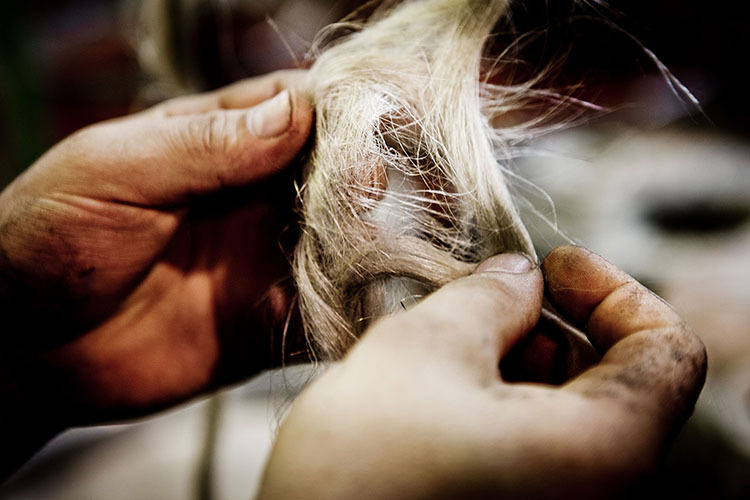 The best linen craftsmen are still found in Western Europe today: be it farmer, spinner or weaver. The expertise that was perfected during previous centuries spans generations and is still being passed on. 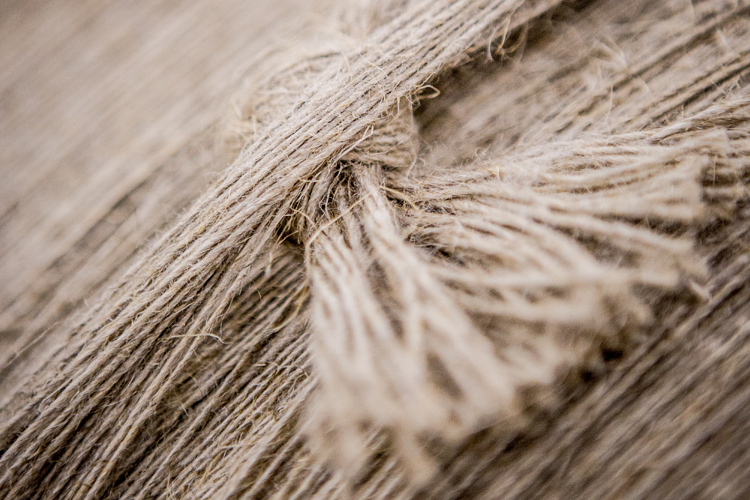 Transforming flax into quality linen is an art. To enable the separation of fiber from plant, flax is retted. 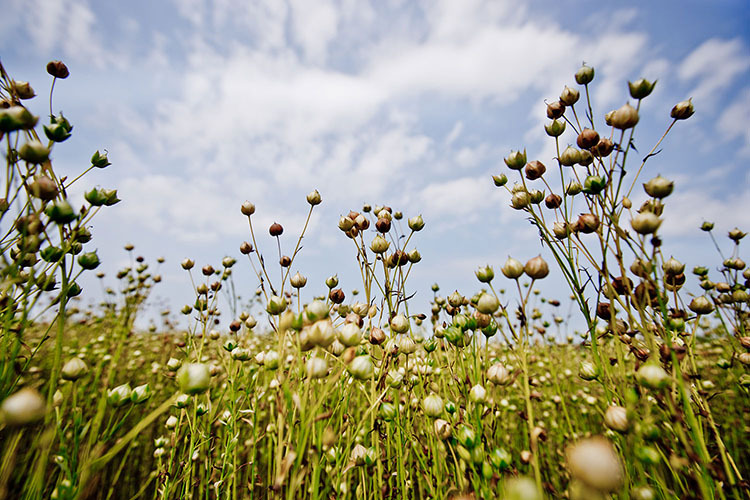 The plant is left lying on the field for up to 6 weeks while nature takes its course. The green stem dries out and turns woody and brown. The exact color depends on the amount of sun and rain during the retting process. 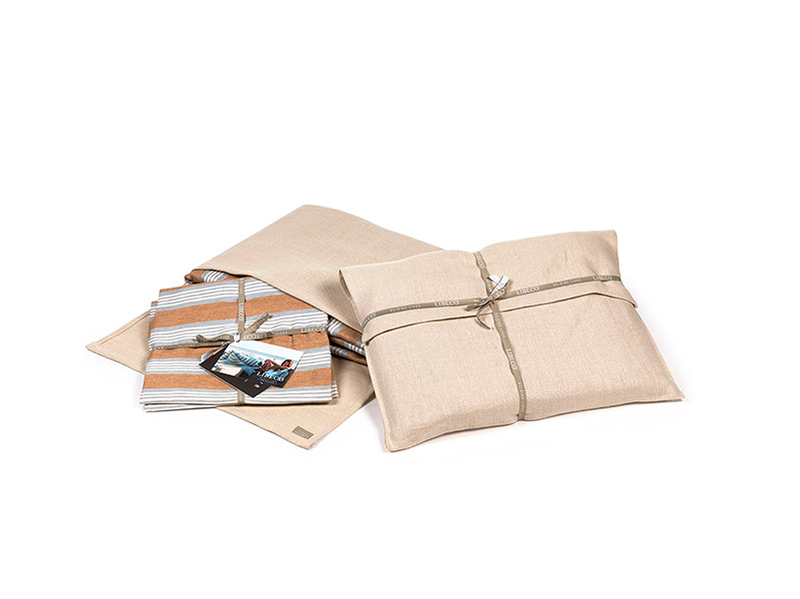 The unique beige color of linen fabric is the natural hue of flax, the color of nature. You can find these colors in the shop as flax, natural and oyster. These products are not dyed, only washed or bleached. It’s linen in its most natural form! Flax is a strong fiber. 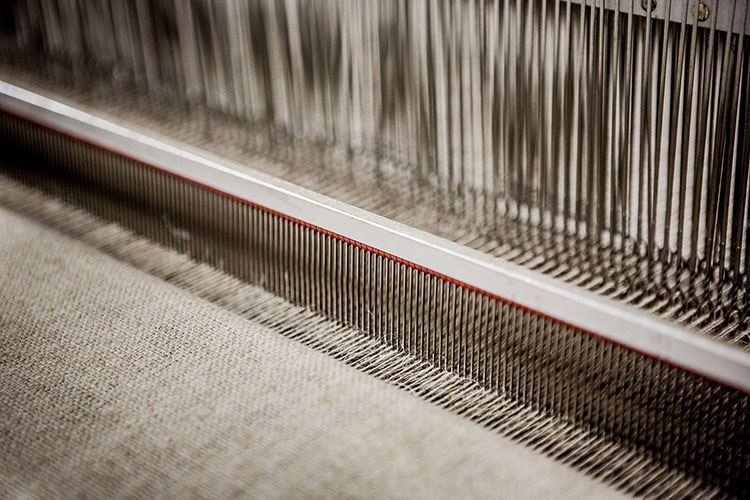 It requires great knowledge to weave the stiff fiber into a quality fabric. A high-quality linen fabric can last years and has a high resistance to wear and tear. Linen yarns have a very specific irregular structure and create the unique look of the fabric. In terms of ecology, linen is a real champion. The plant does not require irrigation and hardly any plant-protection products. 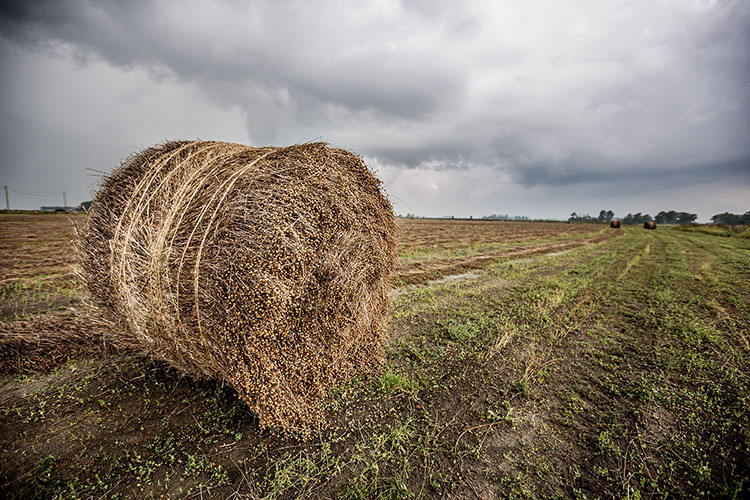 The fiber is harvested through natural processes and all other parts of the plant are used for the production of, for instance, food, paper, or insulation material. Spinning and weaving do not have a large impact on the environment and again, all residuals are processed resulting in zero waste. Our mill is fully powered by green energy and we only select partners who make high demands in terms of ecology for the finishing of the fabric. Flax fiber is hollow on the inside and can absorb moisture well, in fact a linen fabric can absorb up to 20% of its own weight in water! The fiber also releases the moisture easily, which makes the fabric dry quickly. A useful characteristic in towels, bath linen and bed linen. Flax fiber has great thermoregulating qualities ; the hollow strucuture of the fiber breathes and makes it cool in the summer and warm in the winter. As a natural fiber, flax contains minimal traces of allergens. If you have a sensitive skin, we highly recommend our Heritage collection, an organic and GOTS certified collection. The extent to which harmful UV rays penetrate fabric is determined by various factors, such as the density, sun protection factor (SPF) and color of the fabric. Linen is usually densely woven, has a high SPF (the rating that is found on sunscreen) and light colors are recommended. This is because harmful UV rays do not penetrate light colors as much as they do dark colors.